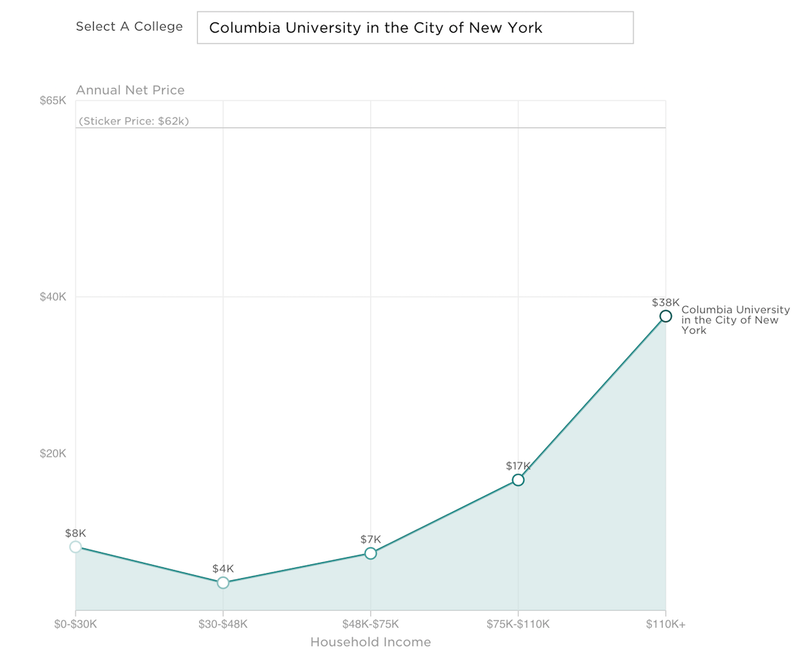 Planet Money has put together a very cool tool showing the average net price that students pay at 1,550 colleges at various income levels, rather than the sticker price (the net price being the sticker price colleges put on their brochures minus grants, scholarships and financial aid). What we find is something we discussed a few weeks ago: that it’s often cheaper to attend elite private universities after accounting for financial aid if you come from a low-income family than it is to attend a public four-year institution, due to budget cuts in education at the state level. Elite private colleges have large endowments that help subsidize the cost of college. 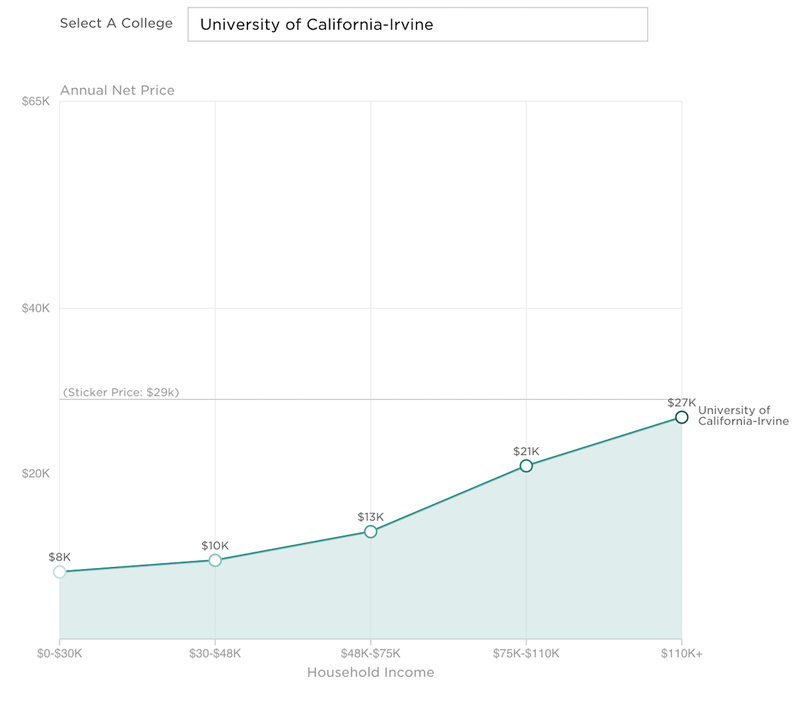 The net price for UCI is much higher than it was for me when I attended there in the aughts, which shows the significant effects that state budget cuts in California have had on public education since then. I’m curious to know if you’re seeing similar results at the schools you attended after trying out the tool.